For over 25 years since the creation of Taraba state, traveling to and from the state was not easy, giving the bad nature of the roads network linking Taraba with other states. Traveling by road from Jalingo the state capital to Abuja for instance do take a whole day. The only alternative for travellers was plying the very bad Jalingo- Yola road to catch flight at the Yola international airport. Very important visitors to Taraba over the years have to come through Yola and drive on a very bad road for over two hours covering a distance of 173 kilometres to Jalingo, the Taraba’s seat of power. Residents of Taraba too who have important and urgent trips to Abuja, Lagos and other big cities in the country have to undergo the pain of traveling to Yola to catch flight. But today, all these have remain history courtesy of Overland Airways in partnership with Taraba state government under governor Darius Ishaku. In the last six months since Overland Airways commenced flight operations at the Jalingo airport, visitors to Taraba no longer undergo stress of going through Yola before coming to Taraba. Statistics from the ticketing office of the airline company also indicate a steady increase in the number of people coming into the state through the company’s flight which now serve as a main gateway into the state, offering flight services on Mondays, Wednesdays and Fridays. A passenger, Mr. Richard Iormua on arrival at the airport from Abuja recently told our reporter that traveling to Taraba has not being easy than now that Overland is providing the air travelling services which according to him is cheap, faster and safer. For governor Darius Ishaku the commencement of commercial flight at the Jalingo airport is a “dream come true” for him and the people of the state, because the dream of establishing the airport has been achieved. “Former governor Jolly Nyame conceived the idea of constructing this airport in 2005 and former governor Danbaba Suntai bring the project to the finishing level. I commend them all. “Funding challenges and other logistics led to the termination of the contract of the airport project in 2010 and later state ministry of work resumed work and stop in 2012. Giving my commitment to continue with projects of past administrations that are of benefit to the people I took over the funding of such projects and this is one of them. 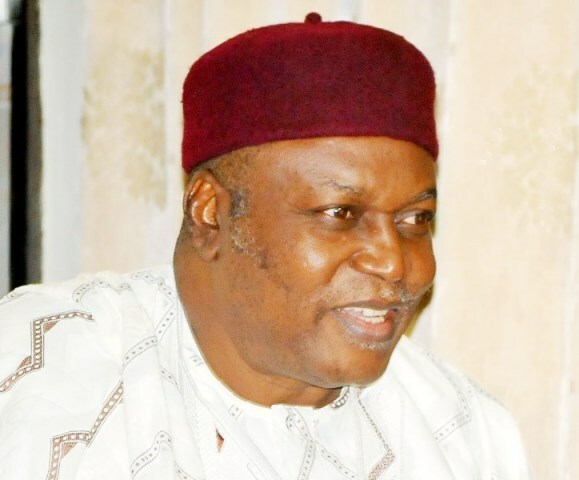 “There is no doubt that the commencement of commercial flight operation from this airport will unlock investment opportunities in the state, boost tourism patronage and businesses in the state,” Ishaku remarks while fielding question from journalists at the commissioning of commercial flight at the airport. To the company, partnering with Taraba state government in the provision of air transport services is in line with the company’s goal of expansion to meet the needs of Nigerians seeking affordable and safer air travels. This the Director of Overland Airway Nigeria limited, Capt. Edward Boyo reechoed during the launch of the commercial flight in Jalingo when he said, ” Overland will offer greater service for the people of the state. Today, we are operating three times weekly, but in the near future we will go daily and open the skies for other airlines to come in. “I am happy that with the commencement of commercial flight in Jalingo, the era of traveling to Abuja by road or landing in Yola and driving to Jalingo is over,” he said. Northern Regional Manager of Overland Airways Mr. Solomon Zamani said customers have nothing to fear as Overland Airways remain one of the best in the country with excellent records in air travels. “We are one of the few scheduled commercial passenger airlines in Nigeria that has successfully operated for 10 years despite the difficulty in operating in the Nigeria environment. In continuation of the airline’s determination to boost the state economy, the company a couple of days back, introduced the ATR-72 aircraft on the Abuja-Jalingo route thereby increasing passenger capacity from 48 to 70. Mrs. Maria Tofowomo, the Coordinator, Corporate Communications in a statement said the move was in line with Overland commitment to improve Taraba economy. “The introduction of the bigger ATR-72 aircraft is in response to the increasing demand for Overland Airways services on the route. This is also in line with the determination of Overland Airways to support the realisation of the potential in the fast-growing Taraba State economy. “Taraba is blessed with huge economic potential. It is vital to support the realisation of these potential that are waiting to be harnessed. “We appreciate working in partnership with the government and people of Taraba State to make Taraba a destination of choice in Nigeria,” the statement added. Tofowomo said the airline was also planning to extend and enhance its cargo services to Jalingo, adding that already Overland Airways cargo network is being expanded to cover Lagos, Abuja, Ibadan, Ilorin and Akure. The statement quoted Mrs. Anu Benson, Chief Operating Officer (COO) of Overland Airways as saying, “we are pleased to keep up our commitment to be one of the drivers of the Taraba economy. That is why we have added capacity with the ATR-72 on the Abuja-Jalingo route. Economic analysts and players in the aviation sector strongly believe that with the introduction of ATR-72s on the Jalingo-Abuja route, the huge resources the state is endowed with would be explored by investor who would now have easy access to the state. They have predicted that in the next two years the state would record 20 percent increase in the exploration of the abundant resources the state is endowed with which will equally help in turning around the fortunes of the state and the country.